Mr. B is staring at his dinner. He has been in this deadlock since yesterday. So far, he refuses to eat unless I hand feed him. I don’t know how long this standoff will last. His hunger or his stubbornness? Which will prevail? The thing he has yet to realise is HE WILL NOT WIN. While I was away last year, Mr. B was looked after by my hubbie. Me.B was a finicky eater. So when my hubbie couldn’t entice him to eat in a normal manner (eating by himself from the bowl), he succumbed to feed Mr. B by hand. Ever since, this habit has become a permanent ritual at his dinner time. However recently, his attention seeking antic escalates to a new height. He refuses to drink from a bowl unless we hold the vessel for him. This was a definite game changer. I’ve realised that this is no longer a laughing matter. We can’t carry on like this. So the battle of attrition between me & Mr.B has commenced. I have stopped responding to his demands. Me.B looks confused and depressed. It is so hard to see him staring at me with his tail down. Heartbreaking, really. 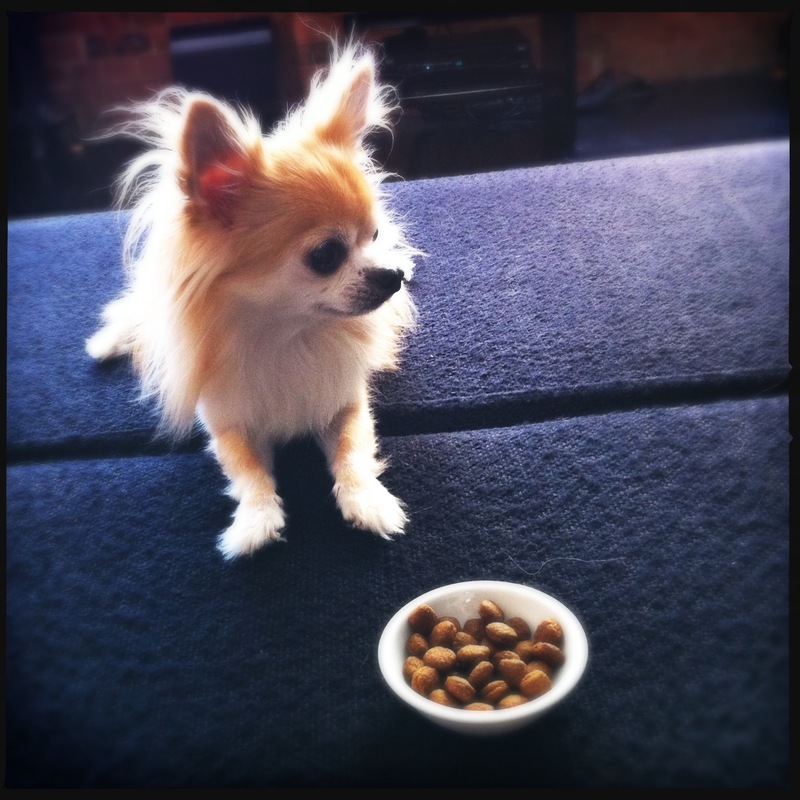 He whimpers by his bowl, sitting up and motioning towards it. Asking with his doleful eyes. He quivers, expressing how upset he is. Still, he has to learn that he can’t have his way any longer. The weird thing is that he does eat from a bowl by himself if the content on offer is more palatable than plain dog food, such as boiled egg or liver treat. He can hardly wait to empty it. 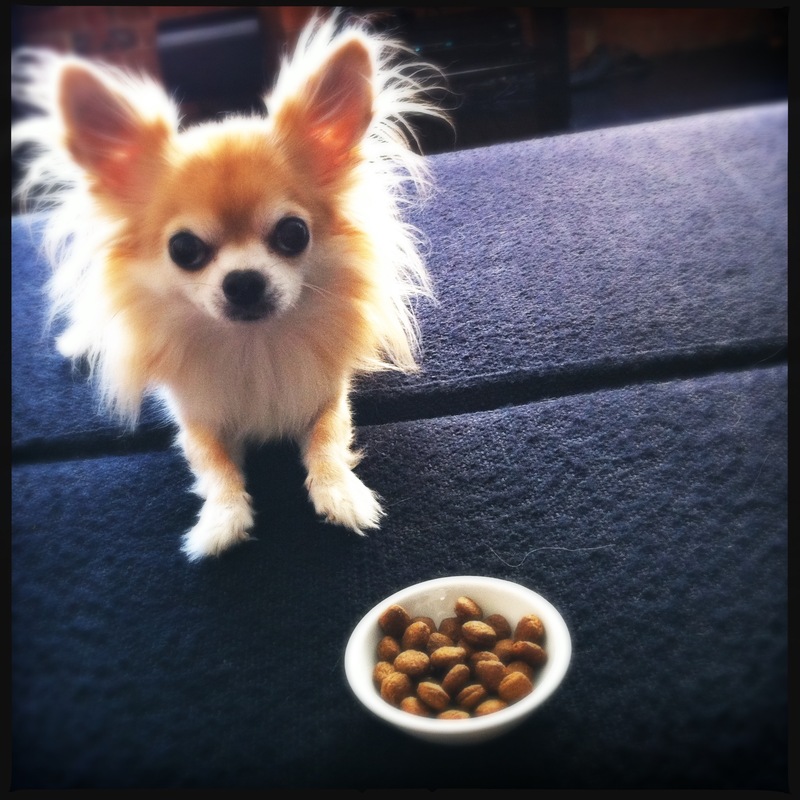 Even if we hire any dog psychologists, they would advise us not to hand feed. So I have to steel myself and ignore his plea. Ohhhh… it’s so hard though. Still, I shall get through it for his sake.